It may be hard to believe, but 2016 is just around the corner. A year of change, opportunity, tragedy, challenge, and triumph lies ahead. We’ve all heard the phrases, “The only thing constant is change,” and “Familiarity breeds contempt”. 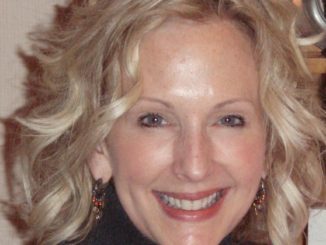 These statements are true of life in general and they are certainly true in southern gospel music. Every once in a while a series of changes occur that one would wonder how life would have been had these changes not taken place. Such can be said for the year 1964. It brought so many earthshaking changes in gospel music to the point that it would never be the same. As we review these remarkable moments in our music history, may we be reminded that new changes and challenges can always be embraced. 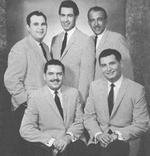 1964 began with a brand new quartet in the gospel music world, The Imperials. Jake Hess selected the cream of the crop for his new group, tapping pianist Henry Slaughter, former Weatherfords bass singer Armond Morales, former Oak Ridge baritone Gary McSpadden, and former promising Speer vocalist Sherrill Nielsen to join him in this new venture. Hess was frowned upon by many in the industry for hand-picking members of other prominent groups for his new quartet, but the talent of this new force in gospel music could not be held back. Not only did the Imperials eventually supersede the success of many of their peers, but also laid the groundwork for Contemporary Christian music. Meanwhile, Hovie Lister welcomed a new lead singer aboard the Statesmen bus. The departure of Hess’s distinctive voice truly marked the end of an era for Hovie and the guys, but it quickly made fans aware of one of the greatest lead vocalists to ever set foot on the gospel stage, Jack Toney. The Speer Family must have been concerned for the year ahead, as they faced their first full year of engagements without Mom and Dad Speer. To further complicate matters, tenor vocalist Sherrill Nielsen had just departed for the Imperials. Nielsen was very briefly replaced by Jerry Redd, who was subsequently replaced by Charles Yates. This new version of the Speers embraced a very different vocal styling than previously, employing tighter and more intricate harmony arrangements. Mom and Dad accompanied the group to select appearances, but the younger lineup quickly proved to their audiences that the future indeed remained bright under the watchful eyes of Brock and Ben. 1964 was also the year that the mountains gave birth. Bryson City, NC, school teacher Martin Cook began inviting many of his students to his house for singing sessions that lasted into the wee hours of the morning. Among these young talents were Archie Watkins, Jack Laws, Ronnie Hutchins, along with local bass singer Dean Robinson. The new quartet soon began accepting local engagements, and the Inspirations Quartet was born. Just a few mountains west, a young mixed trio from Dawson Springs, Kentucky, emerged seemingly from nowhere with two new albums released on Warner Brothers Records. 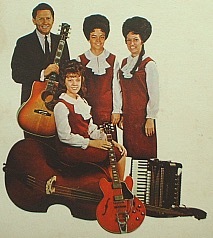 That group was The Gospel Echoes, which consisted of Buck Rambo, Dottie Rambo, and Shirley Bivens. The following year, the group added Buck and Dottie’s 12 year old daughter Reba to the group, and changed their name to the Singing Rambos. With Dottie Rambo came one of the greatest songwriting catalogs perhaps in any field of music. The sound brought by these artists was raw, homespun, and set apart from any other artist of the day. They delivered testimonies in their concerts, and had the ability to turn a typical run-of-the-mill concert into a worship service. While some were turned off by this approach, far more stayed for their performances than left. Before long, The Inspirations and The Rambos had taken America by storm. As 1964 wound down, George Younce turned in his notice to the Blue Ridge Quartet and joined the Cathedral Trio, headline artists at Rex Humbard’s Cathedral of Tomorrow in Akron, Ohio, thereby changing their name to the Cathedral Quartet. 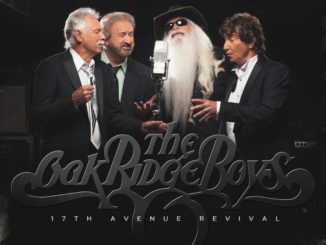 George Younce, Glen Payne, Danny Koker, and Bobby Clark laid the groundwork for what would be gospel music’s most beloved quartet during the 80s and 90s. 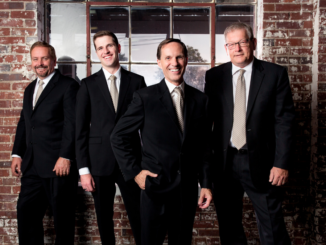 Koker and Clark would eventually leave the quartet, and quite a few years ahead of George and Glen would be filled with struggle and disappointment, but by the end of their 35 year career, The Cathedrals had built a gospel music dynasty. The word “change” is a dreaded word at times, and the year 1964 brought the kind of changes that could have stopped many of gospel music’s finest dead in their tracks, yet their music continued. It brought refreshing new figures to the public eye that were so dynamic that they could not be ignored. Some veteran artists took uncertain, unsteady steps into the unknown that eventually paid off in dividends. Most of all, gospel music moved from entertainment into evangelism, where it has been ever since. Each year is truly a unique one, but in the life of gospel music, 1964 stands out as truly special. Once again, I thank you all for your questions and kind words in regard to this column. You can email me at alan@alankendallmusic.com. I would love to hear from you. Merry Christmas, Happy New Year, and see you next time!